Live Creating Yourself. : Look Ma, it took me 26 years, but I'm international! Look Ma, it took me 26 years, but I'm international! 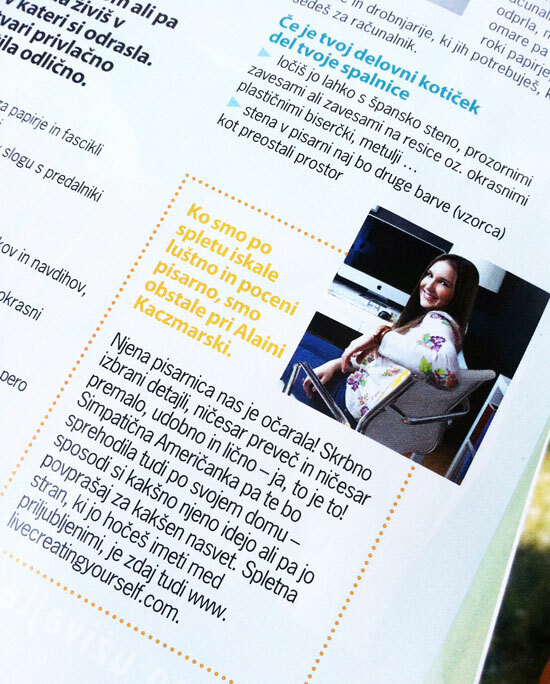 So... did you all remember to pick up this month's copy of Cosmopolitan Slovenia? ...and that's me! The one and only Alaini Kaczmarski (I'm hopeful that's my name in Slovenian and not a misspelling. I fear it might be the latter. Oh well. You can't misspell a face!). From what I gather thanks to Google Translate, I am an enchanting, sympathetic American with a must-read website: www.livecreatingyourself.com. Ya know, I've been telling people this for years... finally, it's catching on. 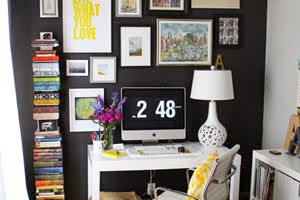 The rest of the article states that no matter how small your space or budget, you too can have a chic work space! True dat. In all seriousness, this was such an honor and I'm so grateful the magazine thought my work space would serve as inspiration for their readers. 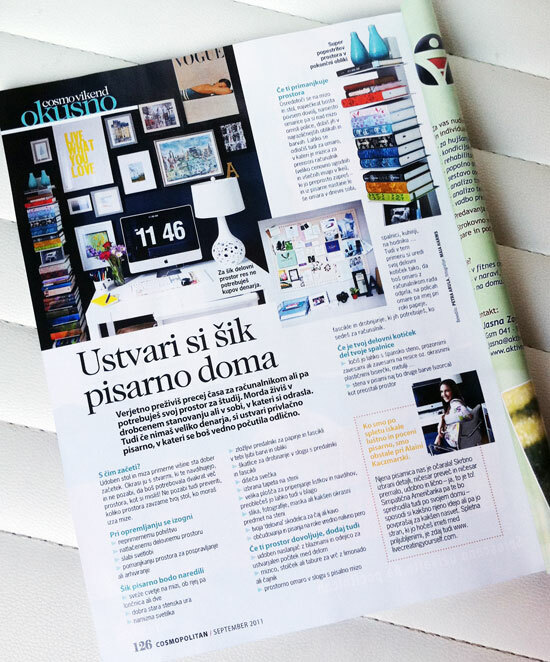 Cosmo Slovenia is not available anywhere in the United States, but you can see the article on their website here! You know... to match my sparkly dress from fancy girls night last weekend. Congrats Alaina, that's so awesome ! Happy birthday, lady!!! I hope you have a great weekend and enjoy your dinner with the boy! Ahhhh! So awesome! A wonderful birthday present :) Happy, Happy Birthday to you!! How wonderful! Congrats -- very exciting! Happy Birthday, too! That is so so awesome! What a fun little birthday present :) Happy birthday dear! Happy birthday! Congrats again on the feature. You are a my favorite sympathetic American. Congratulations!! That is fantastic and definitely well deserved! congrats Alaina! that's so cool! Happy birthday!!! Sometimes low key celebrations are really the best. And congrats on your feature!! So exciting! And I love your office. Happy Birthday. It's my 2 year old son Dax's birthday as well. 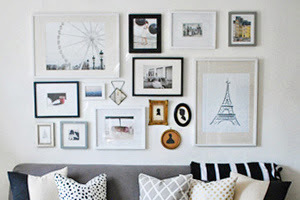 I enjoy your blog very much.. Thanks for sharing your talents. Have a wonderful day! Happy Birthday Alaina! Have a wonderful day! What a great birthday present being published must be :) Congrats lovely lady! AHH so exciting! Way to go girl! And Happy Birthday! Hope your bday is fantastic. Congrats on the magazine feature, that's so exciting. So exciting - and 110% deserved! What a lovely birthday present! Happy happy birthday, and congrats on the feature! Did they alert you about the article or did someone else point it out? Either way, quite the milestone! Congrats and happy birthday lady! What a fantastic birthday present. Btw, my birthday is this weekend, and I was an on time baby.. ewwww. Happy New Years indeed. Enjoy your day! Happy Birthday! You and that dress are a perfect match. Huge congrats to you! 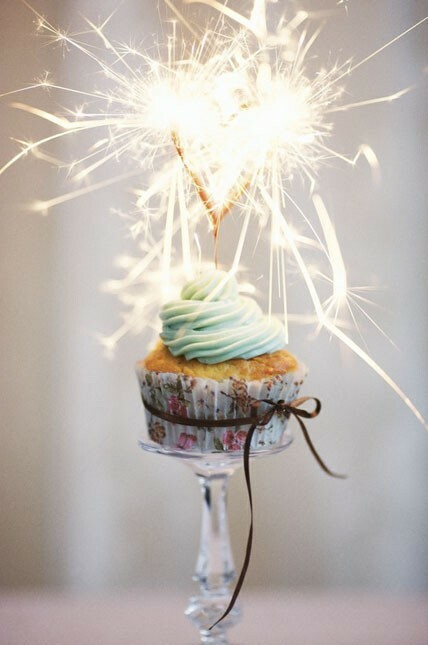 Hope you have a wonderful birthday celebration this evening. Congratulations! That's fantastic! And Happy Birthday!! 26!! 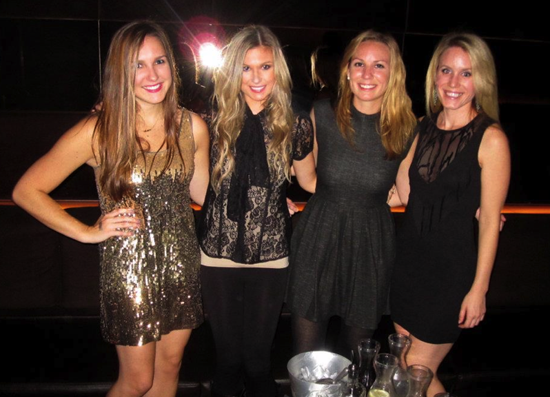 Have a fabulous year Alaina, you deserve it! Wow! Congratulations! I'm glad they finally caught on - 'cos we all think you're a design genius!!! What a great birthday present, happy birthday! Happy Birthday and congrats on the feature in Cosmo! Happy birthday :) I hope it was a wonderful one. Birthdays are so special! And congrats!!! What a great present, eh? ha! thats cool....i was in a few international magazines too...it was pretty funny. I was hoping they quoted me correctly because i couldn't read any of it! :)))congrats to u! Congratulations! That is very cool.